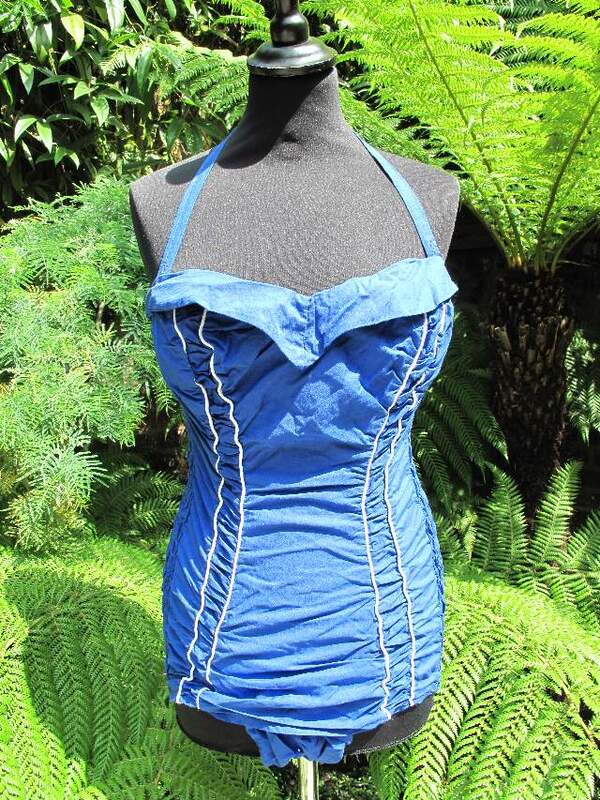 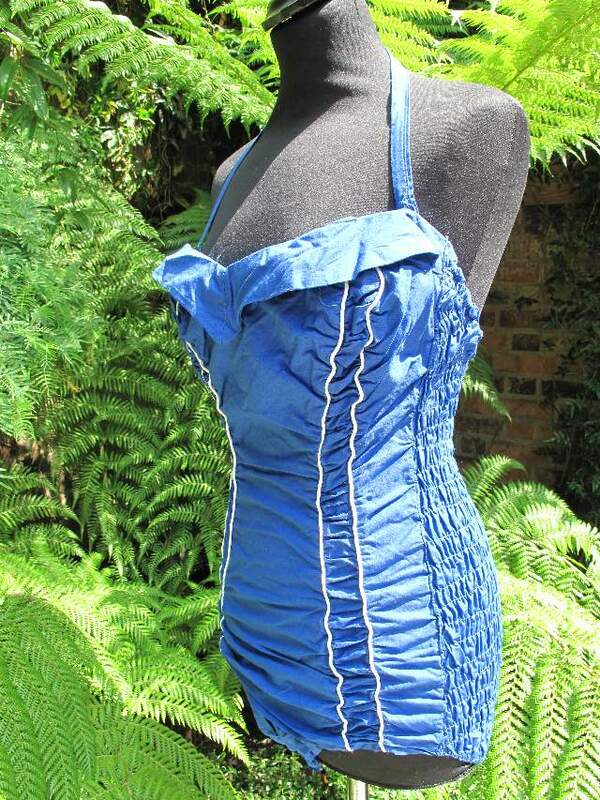 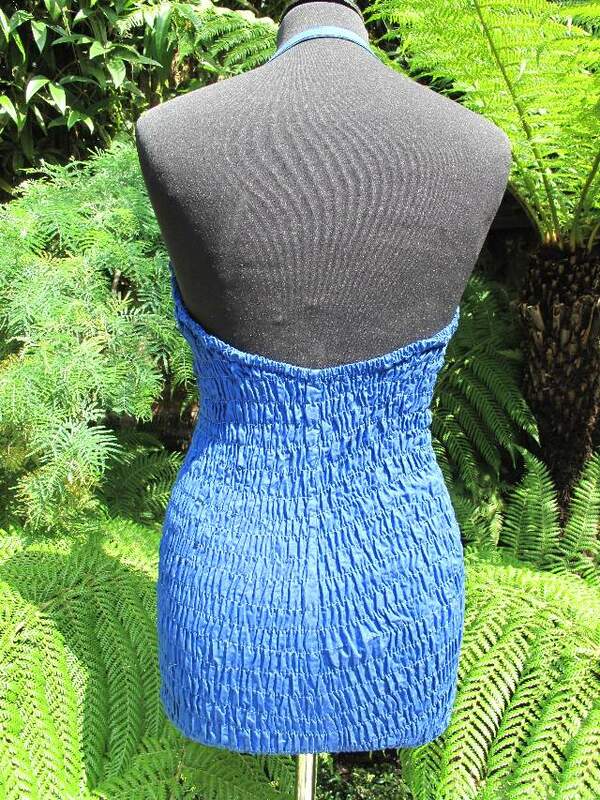 1950's Royal blue cotton vintage swimming costume. 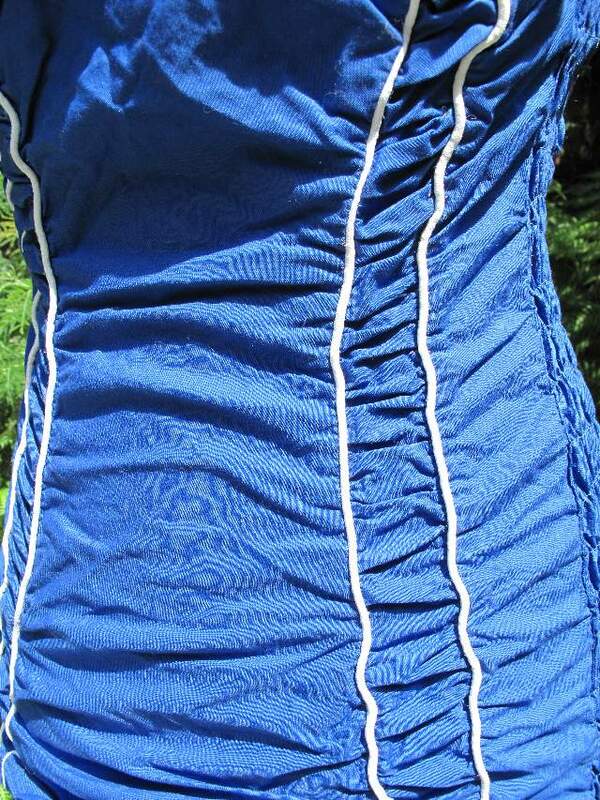 Ruched panels and contrast white piping. 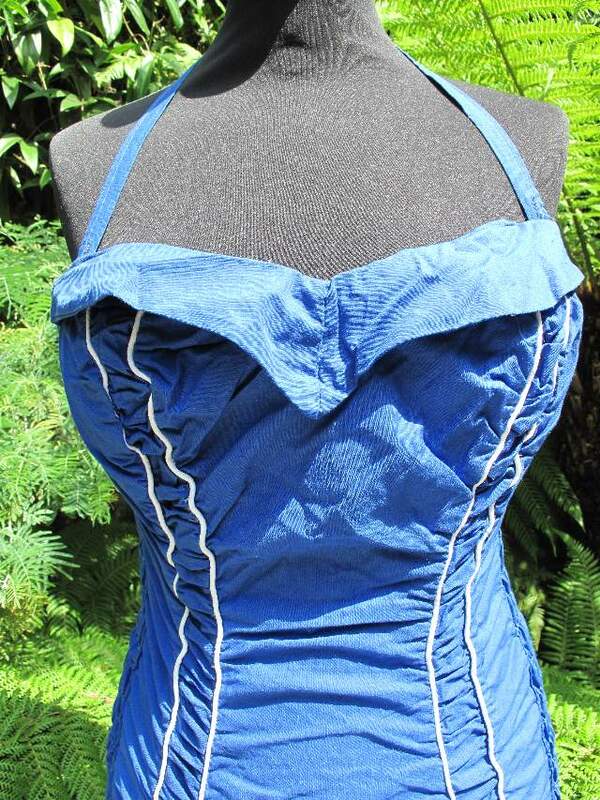 The back is fully elasticated shirring. The bust has a deep 'v' turnback cuff detail and adjustable halter neck strap.